The Akuffo Addo’s led administration, according to the Vice President; Dr. Bawumia has declared that their major focus is capacity building. It doesn’t demand rocket science mindset to understand that capacity building is done with a quality higher level of education. It really sounds contradictory to promote such a seductive agenda and be unwilling to make tertiary education affordable and accessible to all. The few that has made their way through this educational firestorm are being met with a Zigzag treatment which either ends up in student dropout or all kinds of distraction which does not auger well in students’ academic performance. Education we all know is a fundamental right of all humans, but here in our country, education has become a privilege which is only enjoyed by the fittest, the fittest is either the affluent or the poor who persevere through. The cost of education in Ghana is insanely high that it is not even sound to any patriotic political mind. It is evident that potentially, Ghana is wealthier than most of the countries in the world that has instituted free education from basic schools to the highest level of learning, but instead of our leaders channeling our wealth into education of her own people to achieve their own mission of capacity building, they have signed unreasonably deals with multi-national companies, and sharing in some of the profit accrued from our national wealth to satisfy their greed. The dust that is left is used to embark minor projects to deceive the people that these leaders have succeeded in making illiterate to elect and maintain these mis-leaders in office and the cycle continues. It is very tormenting how our government has left some individuals to do as they please with impunity, in our society. I am referring to the cost of accommodation on the campuses of our tertiary institutions. Here in the University of Cape Coast, just like all Ghana’s tertiary institutions, have limited hall facilities, thus students are pushed to seek asylum in private owned hostels. The cost of these hostels skyrockets faster than the entire growth rate of our nation. The attitude of these businessmen creates the impression that we have no responsible ministry designated to check this genocidal attitude of hostel businessmen. These businessmen have taken advantage of insufficiency of accommodation facilities and our government unwillingness to provide accommodation for tertiary students, to squeeze every single penny they can from students. Students have no choice than to get money by all means to enrich these businessmen so that students can occupy rooms that are not even up to standard, other than that, where can students reside through their stay in school? Our major problem is that, the cost of education is so high that it doesn’t make any sense, when one critically examines it. The cost of education encompasses school fees, accommodation fees, and all other miscellaneous. The most daunting are school fees and accommodation fees. It is either our government check all these problems or one for the time been to release unnecessary tensions from our students. We are trending a path as a nation that if government institutions and officials don’t let go of their greed and corrupt attitudes and put of patriotic attitudes towards our nation building, it either going to demand for a violent revolution for a genuine change, or our nation is going to sink into a quicksand, and the negative impact of that is going to be felt by the future generation to come and some of us cannot sit back and watch the latter to happen to our nations. 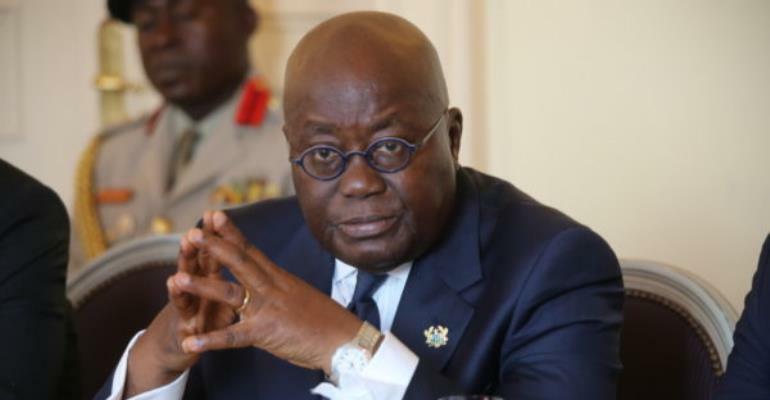 We demand therefore that Akuffo Addo, in his wisdom and capacity step his feet down to ravage this canker, if not for anything at all, to achieve their own goals of capacity building.